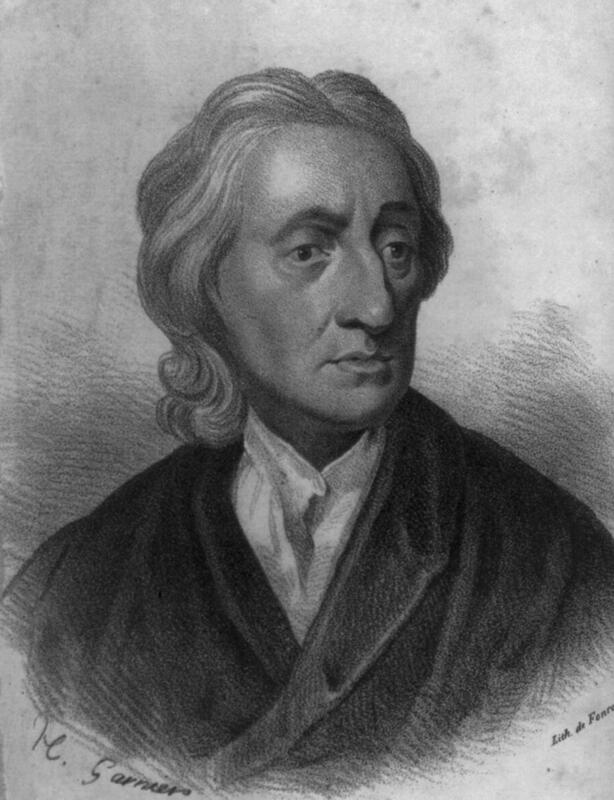 John Locke, born 29 August 1632 in Wrington in Somerset, studied philosophy and medicine at the University of Oxford, later to become the personal doctor, and political adviser, to Earl Shaftesbury, the leader of the Whigs whose main objective at that time was to contain royal powers. Locke was forced to flee to the Netherlands in 1683, returning after the ‘Glorious Revolution’ of 1688. Now, it is generally assumed that Locke wrote his Two Treatises of Government in the early 1680s, in the midst of fierce political battles between the royal and the Whig parties. The work was however only published after the revolution, and then anonymously. Locke died 28 October 1704. Socialists like Canadian philosopher C. B. Macpherson argue that Locke was an ideologue of the rising bourgeoisie, a spokesman for “possessive individualism”. But Locke’s chief concern was the abuse of power, of which the poor are as much (or even more) victims as the rich. First and foremost, Locke believed in general human rights, including property rights, independent of and existing before government was established. Many of Locke’s works are available on the Internet, in the Online Library of Liberty, maintained by Liberty Fund. Adam Smith, born June 1723 in Kirkcaldy, Scotland, read philosophy at the universities of Glasgow and Oxford, and started teaching philosophy at the University of Glasgow in 1748, becoming professor of logic in 1751 and later also a professor of moral philosophy. He published A Theory of Moral Sentiments in 1759. As private tutor to the young Duke of Buccleuch, he travelled widely with him in Europe in the 1760s. In 1776, he published The Wealth of Nations, thus laying the cornerstone of a new scientific discipline, economics. Commissioner of Customs in Edinburgh from 1778, he died 17 July 1790. 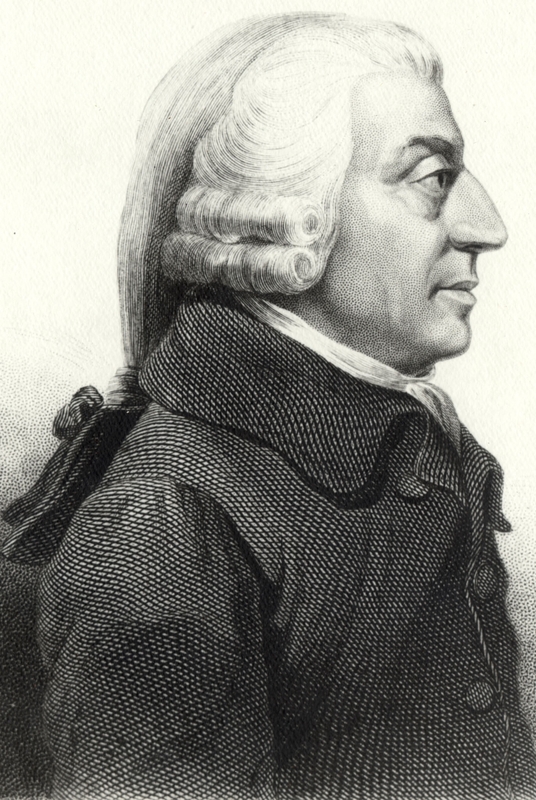 In The Wealth of Nations, Adam Smith put forward two important and powerful, but little-understood, ideas. The first was that the profit of one need not be the loss of another. By the division of labour and mutually beneficial trade people could use their different capabilities and satisfy their different needs much more efficiently than in a closed, self-sufficient command economy. The piece of the pie that one man or a group enjoyed could be increased without reducing the piece of another man or another group, because the pie became bigger. The Wealth of Nations was translated into Danish in 1779–80, and may have had some influence on the decision of the Danish authorities in 1787 to abolish the monopoly trade with Iceland, a Danish vassal state. Jon Sigurdsson, the leader of the Icelandic fight for independence, Arnljotur Olafsson, the author of the first book on economics in Icelandic, and Jon Thorlaksson, the first chairman of the Independence Party, all were strongly influenced by Adam Smith’s defence of free trade and private property. The first half of The Wealth of Nations appeared in an Icelandic translation by Thorbergur Thorsson in 1997, with an introduction by Professor Hannes H. Gissurarson. Many of Smith’s works are available on the Internet, in the Online Library of Liberty, maintained by Liberty Fund. John Stuart Mill, born 20 May 1806 in Pentonville, near London, studied at home under the guidance of his father, the philosopher James Mill. Working for the East India Company most of his adult life, he retired in 1858. A member of the House of Commons in 1865–8, he died 8 May 1873. Three of his works have been translated into Icelandic: The 1859 Essay on Liberty (Frelsid) was published in a translation by editor Jon Olafsson in 1886, and again in a translation by Thorsteinn Gylfason and Jon H. Adalsteinsson in 1970. The 1869 Subjection of Women (Kugun kvenna) was published in a translation by Sigurdur Jonasson in 1900, and in a revised version in 2003. The 1863 Utilitarianism (Nytjastefnan) was published in a translation by Gunnar Ragnarsson in 1998. Mill was a liberal in the classical sense. His chief concern was the abuse of power, whether it was by the majority or by kings and clerics. Tyranny by the many of the few was as bad as tyranny by the few of the many. As Mill put it in the Essay on Liberty, “the people who exercise the power are not always the same people with those over whom it is exercised.” Mill argued “that the only purpose for which power can be rightfully exercised over any member of a civilized community, against his will, is to prevent harm to others. His own good, either physical or moral, is not a sufficient warrant.” His main argument for freedom of speech was human fallibility. But even if an opinion was known to be false, truth had to test and to strengthen itself, by refuting the falsehood in a free and fair discussion. 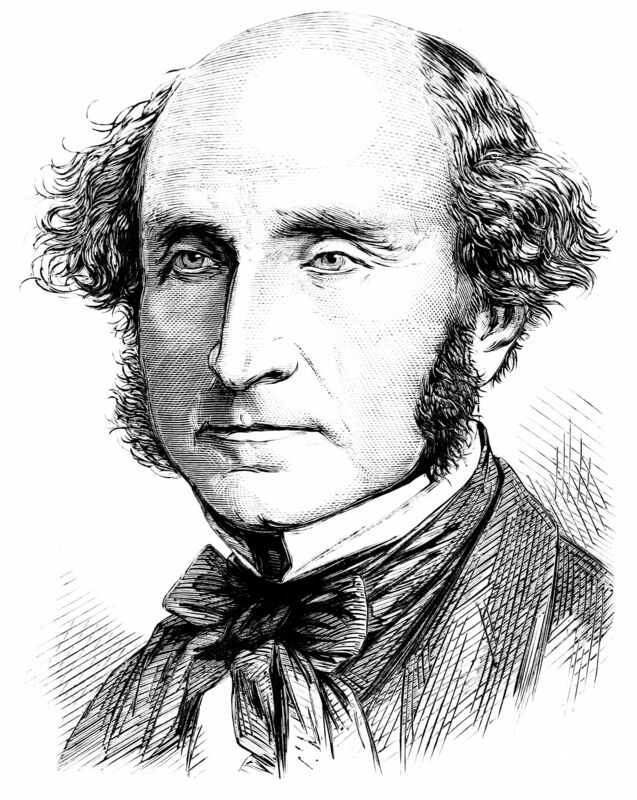 Philosopher Thorsteinn Gylfason and other Icelandic socialists have claimed that John Stuart Mill was their soulmate rather than a classical liberal, as he did not believe that economic freedom was as sacrosanct as the freedom of speech, and as he thought that capitalism would eventually be replaced by socialism, or workers’ cooperatives. Against this it has been argued that for Mill the most important economic freedom was that of the consumer, not of the producer (whose freedom could indeed be limited on utilitarian grounds), and that the socialism that Mill may have supported was by choice, not by coercion. Moreover, Mill was much more worried about the concentration of power than are most modern socialists. He was for example against government schools as he believed that they would discourage diversity and individuality. Mill’s works are available on the Internet, in the Online Library of Liberty, maintained by Liberty Fund. 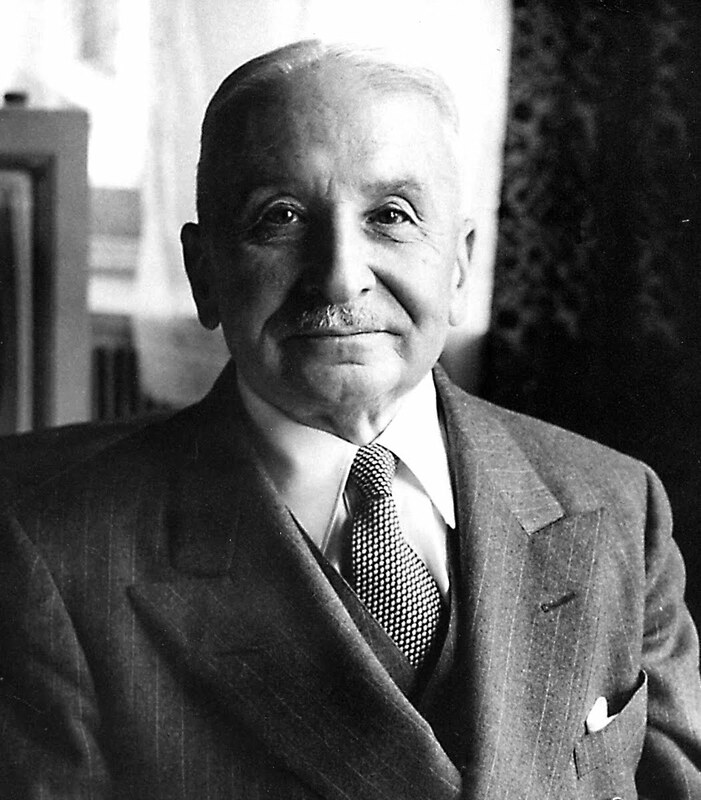 Ludwig von Mises, born 29 September 1881 in Lemberg in Galicia (now Lviv in the Ukraine), received a doctorate in law and economics from the University of Vienna in 1906 and then worked for the Austrian Chamber of Commerce, while giving lectures at the University. His weekly seminar on economics, regularly attended by Friedrich A. von Hayek, Fritz Machlup, Alfred Schutz, Gottfried von Haberler, Oskar Morgenstern and other prominent thinkers, became famous. Because of the totalitarian threat, Mises moved in 1934 to Switzerland where he became professor of economics at the Institute of International Affairs at the University of Geneva. Again, he had to flee in 1940, becoming professor of economics at New York University in 1946. There he also organised a seminar on economics. Mises was a founding member of the Mont Pelerin Society in 1947. He died 10 October 1973. Mises was a classical liberal like most of the Austrian economists, such as Carl Menger and Eugen von Bohm-Bawerk. A prolific author, Mises wrote on economic fluctuations, money and credit, and the nature of capital amongst other things. His most influential work is Socialism, originally published in German in 1922. His argument there was that the central economic planning which socialists sought to introduce, was impossible because the central planners could never acquire sufficient information about human wants and the proper means to satisfy them. Therefore none of their plans could be rational. The necessary information became available only on the free market where goods were priced according to their relative scarcity. One book by Mises has been translated by Jonmundur Gudmarsson, Economic Policy: Thoughts for Today and Tomorrow, in Icelandic Hugleidingar um hagmal. Some of Mises’ works are available on the Internet, in the Online Library of Liberty, maintained by Liberty Fund. 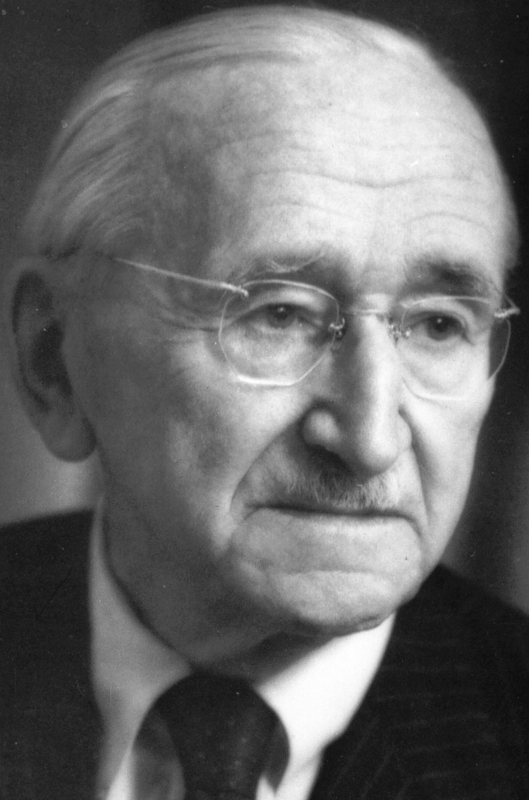 Friedrich August von Hayek, born 8 May 1899 in Vienna, received doctorates in law and politics from the University of Vienna in 1921 and 1923. He also studied economics in Vienna under Ludwig von Mises whose weekly seminar he attended regularly. Hayek was director of Austria’s Institute for Business Cycle Research, until he became in 1931 professor of economics at the London School of Economics. In 1944, he published his best-selling Road to Serfdom, a powerful warning against prevalent centralizing tendencies. An extract was printed in the Reader’s Digest in the spring of 1944, and this was translated into Icelandic by Professor Olafur Bjornsson and serialized in the daily Morgunbladid in the summer of 1945, leading to much and heated discussion in Iceland. The Young Independents published the extract in a pamphlet in 1946. In 1947 Hayek called a meeting of liberal scholars at Mont Pelerin in Switzerland, near Montreaux, to discuss the present dangers to individual liberty. The group founded the Mont Pelerin Society, Hayek serving as its president to 1961. He was professor of social thought at the University of Chicago in 1950–1962, professor of economics at Freiburg University in Germany 1962–1968 and at Salzburg University in Austria 1968–1977. He received the Nobel Prize in economics in 1974. A British subject from 1938, he was made Companion of Honour by Queen Elizabeth II in 1984, on the advice of the Prime Minister, Margaret Thatcher, whose policies he had influenced considerably. President George H.W. Bush awarded him the US Presidential Medal of Freedom in 1991. He died 23 March 1992. Hayek visited Iceland in the spring of 1980, giving two lectures, the first on ‘The Monetary Order’ at the University of Iceland, the second on ‘The Muddle of the Middle’ at a meeting of the Libertarian Association. Hayek was interviewed in newspapers and on radio and television, and two economists, Jonas Haralz (a liberal) and Throstur Olafsson (a socialist), debated his message on television. The Road to Serfdom was translated in its entirety by Hannes H. Gissurarson in 1980. Hayek’s two lectures in Iceland were first printed in the magazine Frelsid (Liberty), in 1980 and 1983, respectively, then in the book Lausnarordid er frelsi (The Key Word is Freedom) in 1994, both translated by Hannes H. Gissurarson. In 1984, socialist philosopher Thorsteinn Gylfason launched a fierce attack on Hayek in the magazine Skirnir, accusing him of being the spokesman of the rich against the poor. In 1986, Hannes H. Gissurarson published a response in the same magazine, arguing that Hayek based his social and political philosophy on the impossibility for any one person or agency, or a giant computer for that matter, to acquire all the knowledge necessary for coordinating human plans and objectives. In the economy, this knowledge could only be utilised by allowing prices to transmit information about different human wants and the means of their satisfaction, and different human abilities and in which directions they could be developed. Therefore, competition should be looked upon as mainly a discovery procedure. Its point is not to reward the strong and punish the weak, but to provide information to people about how they could adapt and adjust to one another in their pursuit of material goods. Poverty could only be mitigated if this discovery procedure was allowed to function. Some of Hayek’s works are available on the Internet, in the Online Library of Liberty, maintained by Liberty Fund.